This weeks post is one you’ll want to bookmark and use this winter. If like me you live in the northern hemisphere you might well have had your share or be around the start of colds, coughs and winter bugs. And if your on the other side of the world or not interested in preventing or treating coughs and colds then stick with this post as this syrup is not just medicinal and has another great, fun use and can also be used all year round. 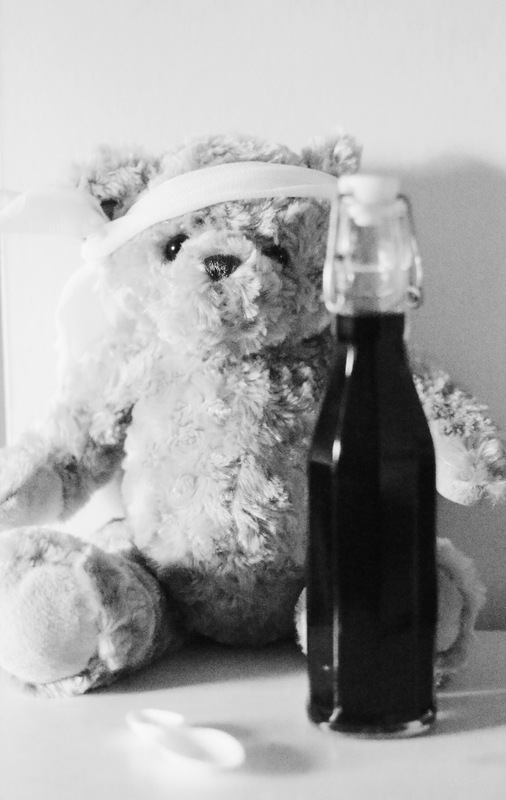 I first made this fantastic syrup as my eldest daughter had a terrible cough and virus. 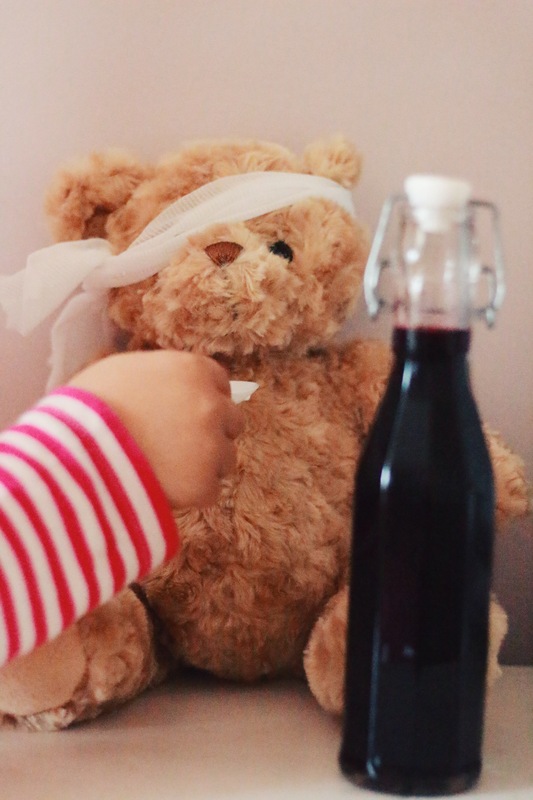 She has suffered from croup since a baby and a kind friend suggested making elderberry syrup, so I experimented and added an extra immune boosting ingredient. The result was amazing, her cough cleared up in days (much more quickly than normal) and what’s more she loved the taste. So I knew I had to share it with you too. Elderberry Syrup is a highly effective natural cough medicine and tonic for the flu, and will even aid in the the prevention of winter viruses. It’s also a delicious syrup that can be used over pancakes, puddings and as I’ve found is a great mixer for a cheeky cocktail or two! See my favourites below. Apple Cider Vinegar – regarded as natures natural remedy for many ailments with known anti-biotic properties. It has anti-bacterial, anti-viral and anti-fungal properties. Whilst regular vinegar is acidic, apple cider vinegar is has an opposite effect on our bodies – an alkaline effect. So this tonic will help restore PH levels in your body. So where do you get hold of these precious elderberries? 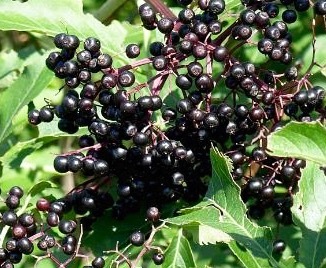 They are out there NOW readily available for free on elderberry bushes your find in your local hedgerows. Another great example of how nature has our backs. The right food to nourish our bodies and keep us well, is abundant out there and ready in each season. If you don’t have direct access to any elderberry bushes, live in close proximity to my house 😉 or you’re making this beautiful tonic at a different time of the year, you can buy them on line (google for a range of options). They also freeze really well if you go out picking now you can keep a good store for when you need them. One note of caution do not eat Elderberries raw or not throughly cooked. As a family we’ve been all taking it it to help boost our immune systems over these winter months. And us ‘grown ups” have enjoyed it in a couple of weekend tipples! Which I can highly recommend and are a great different boost on a dark winters night. I now have a good back up supply of frozen elderberries and to keep us in this fab syrup all year round for any sneaky cough or cold and perhaps a few little cocktails too. A natural remedy full of antioxidants, flavonoids, vitamins A, B and C and anti-bacterial and anti-viral properties that stimulate and support a healthy immune system. A fantastic cough medicine or tonic for the flu or to keep your immune system tip top and ward off viruses all year round. Leave to cool and then add the honey and vinegar. Dose: When ill up to 3 x teaspoons up to 4 x a day, or 1-2 teaspoons per day to keep your immune system tip top and ward off viruses. Notes: This syrup will keep well covered in a fridge or cold storage for up to 2 months. 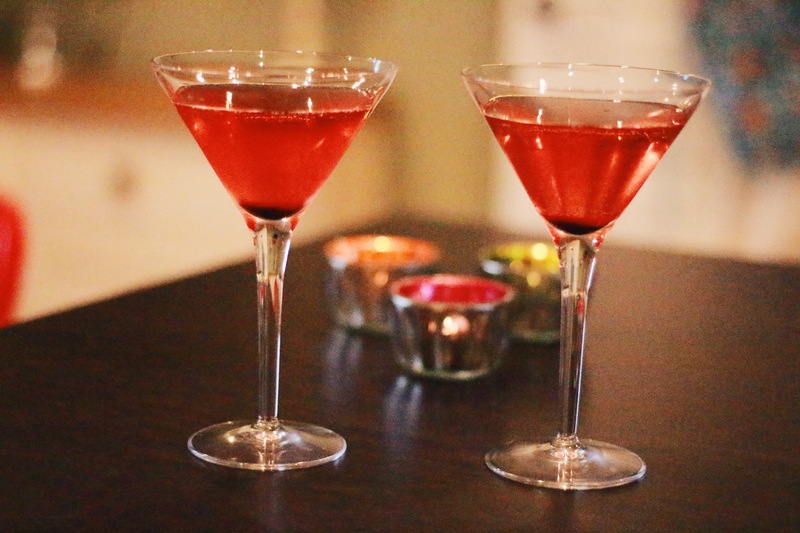 A little sweet relief simply add a teaspoon to your favourite tipple of choice. Add one teaspoon per glass of Prosecco or Champagne. Add one teaspoon to 1 x measure of gin (my favourite is grain free – Williams Chase Extra British Extra Dry Gin), a generous squeeze of lemon juice and top up with soda water (which contains much less sugar than tonic water). I’ll definitely try to make it!!! Real super food!! Thank you! Thank you Serena it really is! 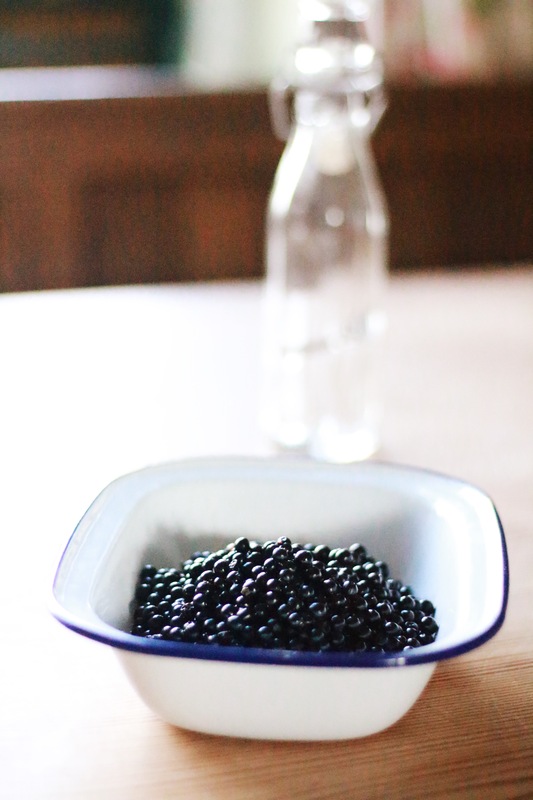 I have elderberries at our lake place, and I made syrup using agave syrup instead of honey. It tasted like agave syrup! Next year, I’ll go back to honey! But your cocktails look yummy, so I’ll keep this post in mind!